The other day I found myself desperately rummaging through my wardrobe attempting to find some sort of needle in a haystack of ill-fitting garments and obsolete accessories. I HAVE. NOTHING. TO. WEAR. Yes, I decided that amongst all the things I ain’t got time for, I really needed to make time for a wardrobe update. I needed a new style, a new ‘look’. 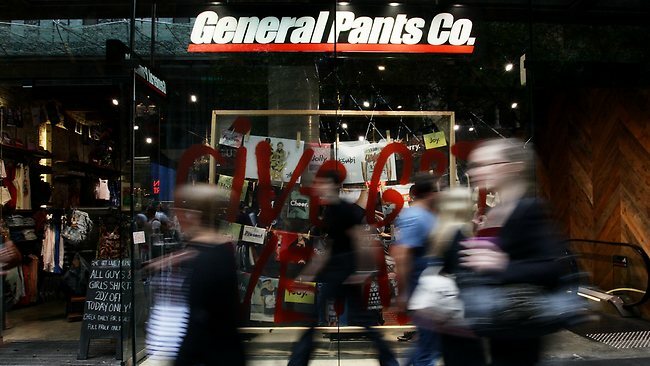 And what better place to start than General Pants, the go-to store for all Sydney trend-setters? For those of you not from Australia, General Pants is an overpriced clothing store that appeals to three core style groups; indie-identifiers, modern punks, and ‘non-mainstream’ hipsters (ironically, a very lucrative market segment). Whilst it presents itself to be a subversive urban-wear outfitter, in actuality, General Pants can be considered the McDonalds of the retail sector; they can be located in just about every shopping centre you enter. Walking into one of these types of fashion stores is comparable to crossing over into an absurd alternate universe….a universe where all the cool kids appear to be keen on hideous short-sleeved Hawaiian-print shirts… a place where one does not require any optical justification to wear thick-rimmed specs… a world I soon realised that I do not have time for. What If Everything You Knew About Women Came From Ads?